More than 300,000 cards from over 6,000 sets are listed in this popular book. 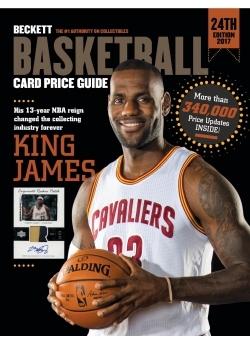 It’s the most comprehensive basketball card source ever produced. This new edition includes complete coverage of modern and oddball hoops cards andcollectibles from 1910 to present, including college, international leagues, figurines and WNBA.